Whenever you need vehicle maintenance, such as replacing your timing belt, or repairs, such as replacing a starter, you often have to take your vehicle in to the mechanic before you have any idea how costly it will be. Even then, when you get an estimate from that mechanic, you may not be sure how it stacks up with the cost that would be charged by other mechanics in the area. If you don't know what to expect, you can easily overpay. What if there were an app that would give you an idea what you might pay for auto service? That's what RepairPal excels at. If you know what you need done, it will provide a low-end to high-end range based on what mechanics in your area charge. For that service, it even explains what the estimate includes, best practices for taking care of the part, common symptoms leading up to the service, and in some cases, common misdiagnoses. With this information, you can go into your neighborhood garage armed with knowledge, not surprised by an unreasonable estimate. 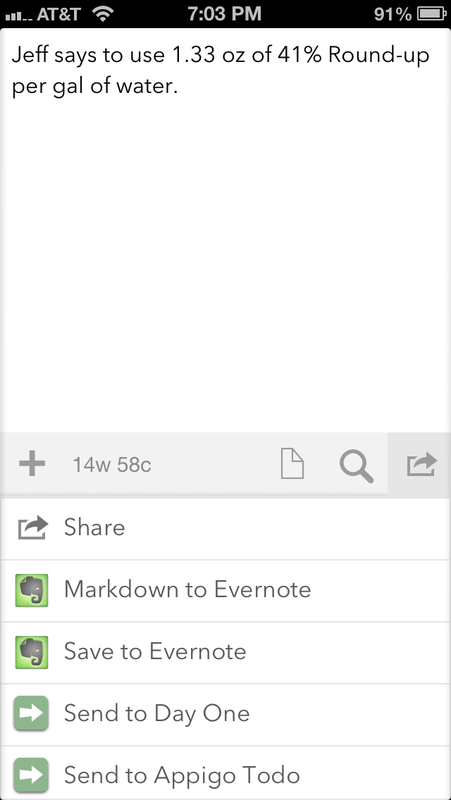 Launching Evernote and adding a new note in the right notebook takes a few seconds. Usually by the time I think of opening my Evernote app, I'll have to have either written my note down on paper or I will have lost it. 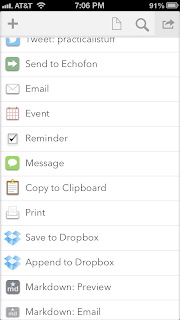 Evernote offers a lot of features (notebooks, tags, formatting, etc.) 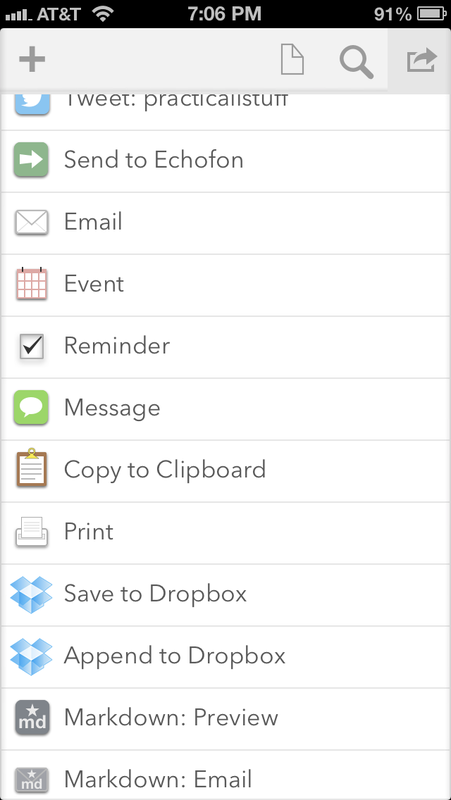 that make keeping organized notes very nice. When under pressure to record something quickly, these are a distraction. I find myself wanting to spend time to give my note a title, add tags, pick the right notebook, and make my note look nicely formatted, things I didn't have time to do. Some notes were of a very temporary nature. 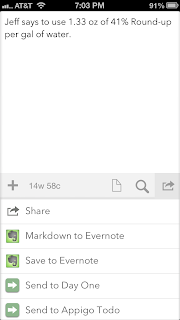 I only needed the note for such a short time, keeping it in Evernote didn't make sense.